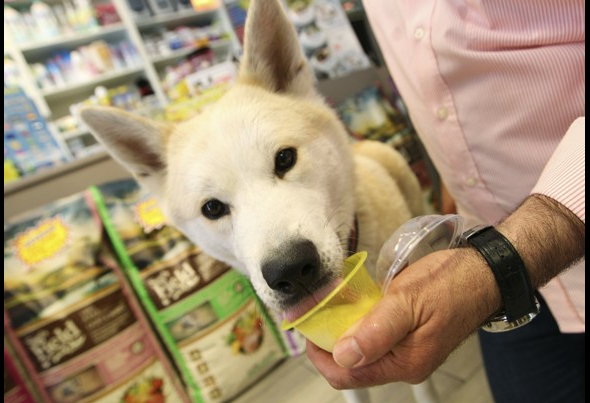 Canines in Rome are licking their chops for a new gelato-like treat made just for them. And because temperatures there are already in the high 90s, the cooling concoction has been in high-demand. We’re guessing licking the stuff out of a cup can get pretty messy, so if you import some into your home, be ready for drippings! This entry was posted on Tuesday, June 19th, 2012 at 3:06 PM. It is filed under Blog. You can follow any responses to this entry through the RSS 2.0 feed.